The Office of Sheriff has been in existence since 1066. Originally appointed by the English King, the "SHIRE REEVE" executed royal court orders and writs and was generally responsible for the capture of wrong-doers in their respective Shires. The office evolved and eventually the title was shortened to "Sheriff". The office was soon adopted by colonial governments. As the colonies broke from English rule, Sheriffs became elected officials chosen by the people. Although the Sheriff served as the chief law enforcement officer in the county, the sheriff's primary responsibility was to keep the peace and serve as an officer of the court. Each of Each Missouri Sheriff provides county wide law enforcement and serves as officers of the court and keepers of the jail. 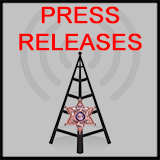 The Sheriff is charged with the responsibility of maintaining the public peace and protecting the lives and property of all citizens in Cass County, Missouri. His obligations and responsibilities have continuously grown throughout the years. 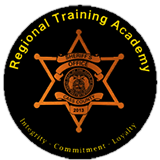 The duties of the Sheriff have increased as administrative procedures, court decisions, and requirements of the laws have brought about sophisticated and technical advancements to law enforcement. 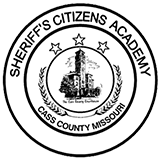 The Cass County Sheriff's Office is comprised of five basic divisions which perform the varied duties required by Missouri law and the criminal justice system. These divisions are Patrol, Investigations, Court Services, Jail Operations, and Communications. Court Security Deputies are responsible for the physical protection of judges, court personnel, attorneys, witnesses, juries and citizens who have business within the Cass County Justice Center Complex. Weapons screening at all entrances. Maintaining order and decorum in courtrooms, waiting areas and court premises. Guarding, transporting, and isolating sequestered juries. Effecting arrests, remands, and confiscating contraband when necessary. Assuming responsibility for all emergency response, including medical, fire, bomb threat, etc. 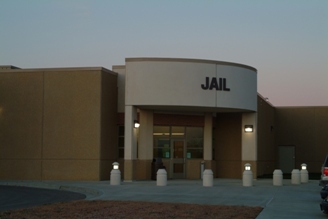 The confinement of persons who have been committed to the jail to secure their attendance as witnesses in criminal cases. The confinement of persons charged with a crime and committed to jail awaiting trial. The confinement of persons committed for contempt of court, upon civil process or by other authority. The confinement of persons sentenced to imprisonment in the jail upon criminal conviction. The confinement of persons imprisoned for domestic assault.